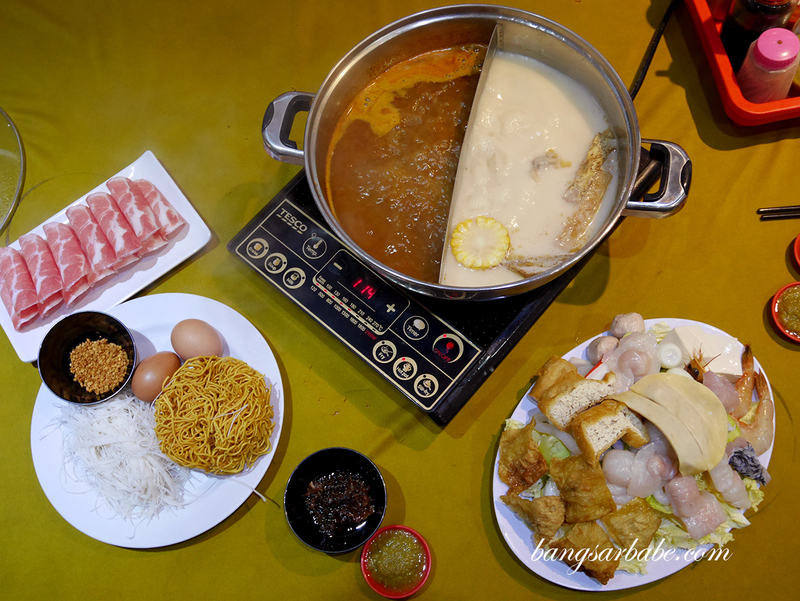 For as long as I can remember, I’ve been fixated on steamboat or any sort of hotpot where food is cooked in a pot of broth. 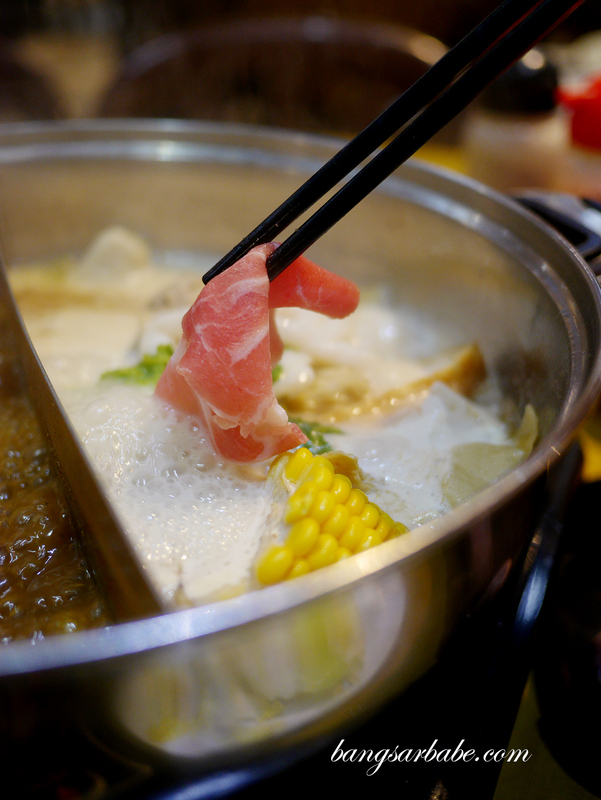 The only “hotpot” I don’t fancy as much is lok-lok, because I don’t get to drink the soup. 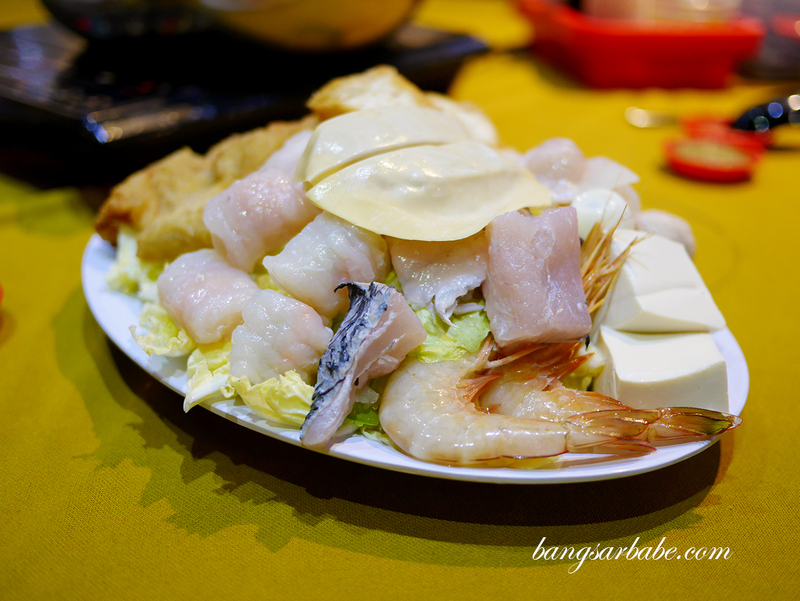 BeBeHo Steamboat in Old Klang Road is relatively new and uses seafood from Pulau Ketam, so they claim. 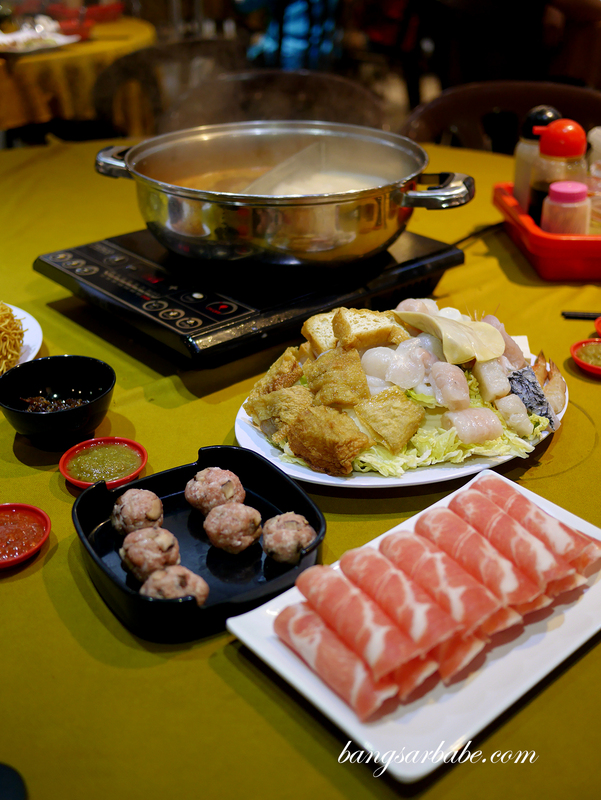 The restaurant occupies the corner shoplot of Batu 3 along Old Klang Road and they serve steamboat sets (RM14.80 per pax) as well as a la carte items ranging from meats and vegetables, to assorted meat or fish balls. 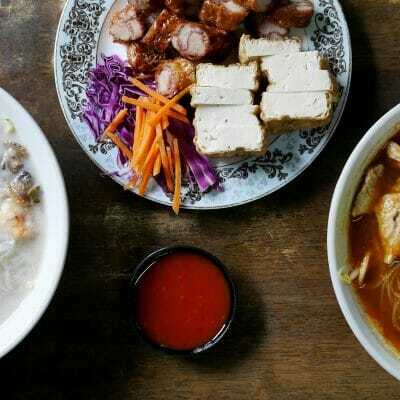 You get four types of broth to choose from – clear soup and tomyam are complimentary, whilst the pork bone soup is priced at RM8 per half portion and century egg soup at RM4 per portion. It’s double the price if you were to go for the full portion. Don’t be fooled by the “mountain”. There’s a lot of cabbage at the bottom. 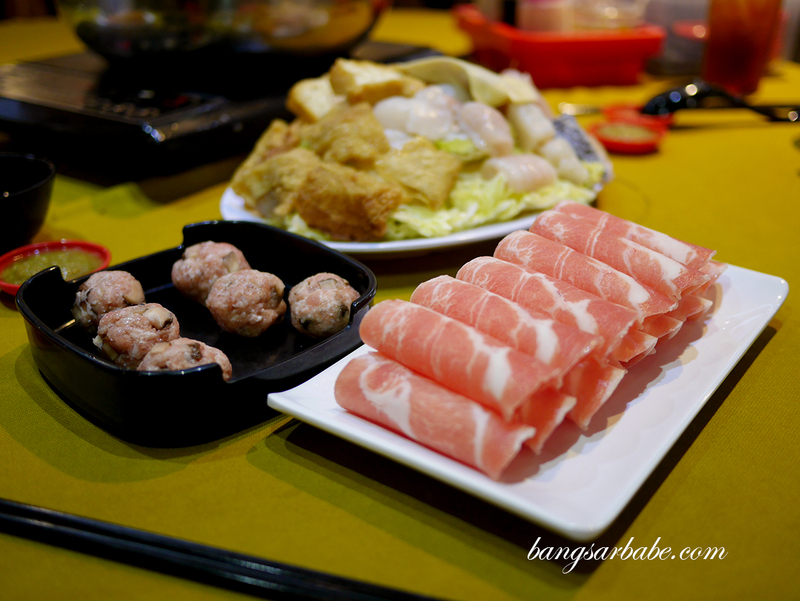 We tried the pork bone soup and tomyam, and ordered a steamboat set each. 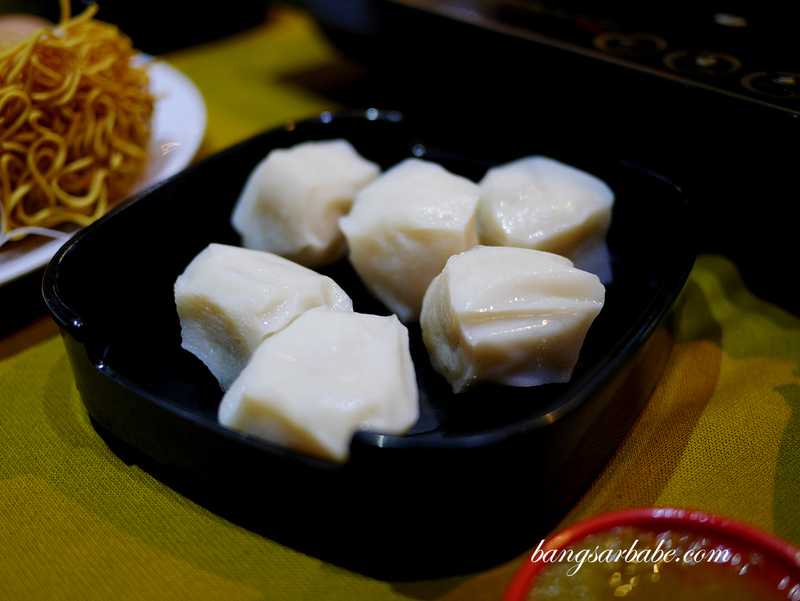 Honestly, I was really disappointed with the set as we got a lot of cabbage and not much of the other items (fish, fishball, tofu, dumplings and prawns). For RM30, I think we would be better off ordering from their a la carte menu. 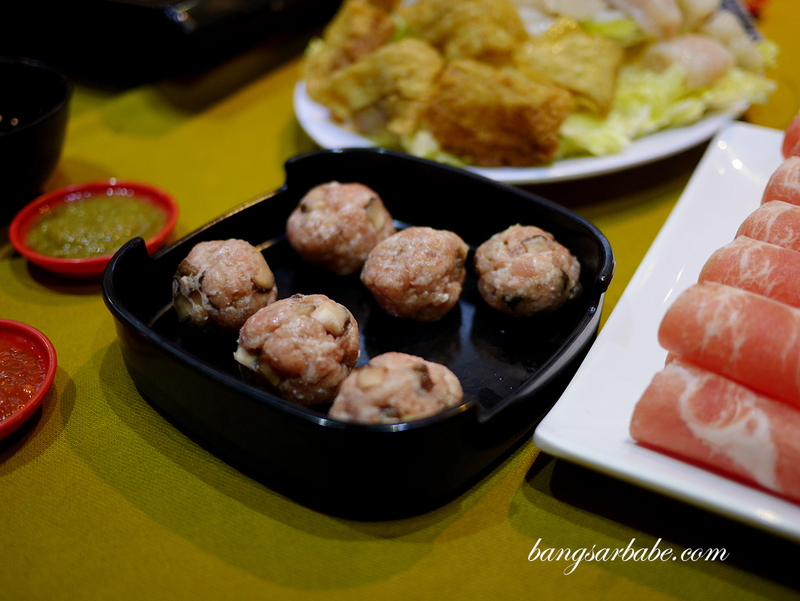 I liked the mushroom meat ball (RM4.30) but didn’t care much for the “bomb” ball, which was essentially pork meat ball with minced pork filling. 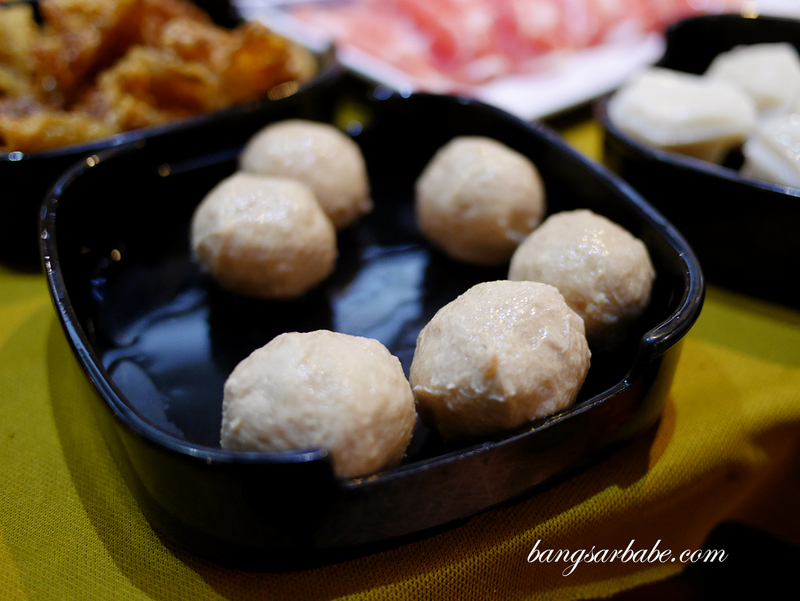 Texture was dry, especially after cooking, though the Fuzhou fish ball with minced pork filling somehow tasted better. 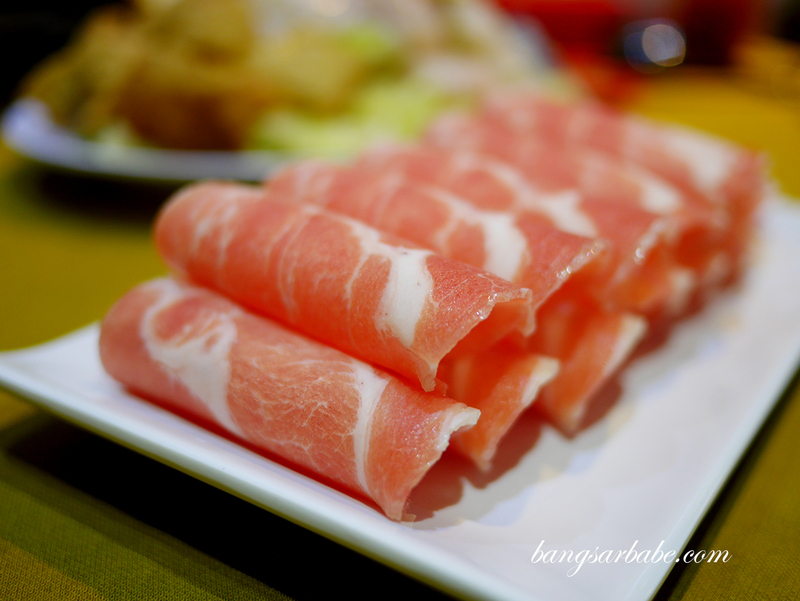 They ran out of pork belly so we opted for the leaner cut – pork loin slices. 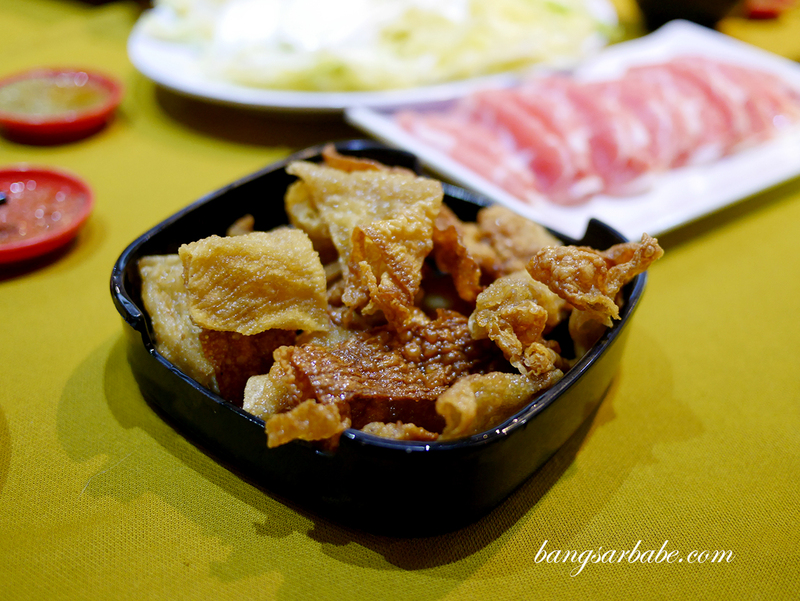 Didn’t see beef or mutton in the menu so if you’re into those, you’ll be disappointed. 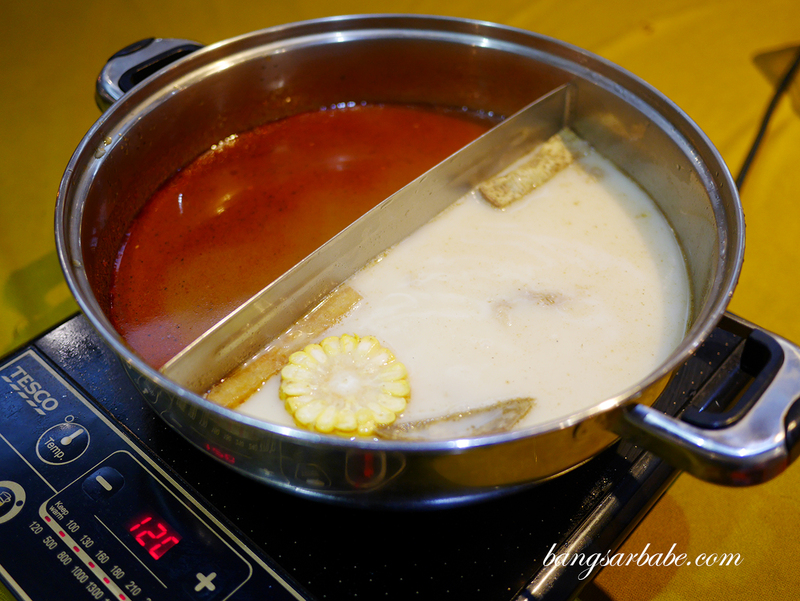 The tomyam soup wasn’t very good if you ask me – it was one-dimensional in taste, mostly spicy. Didn’t do much to bring out the flavour of the meat. 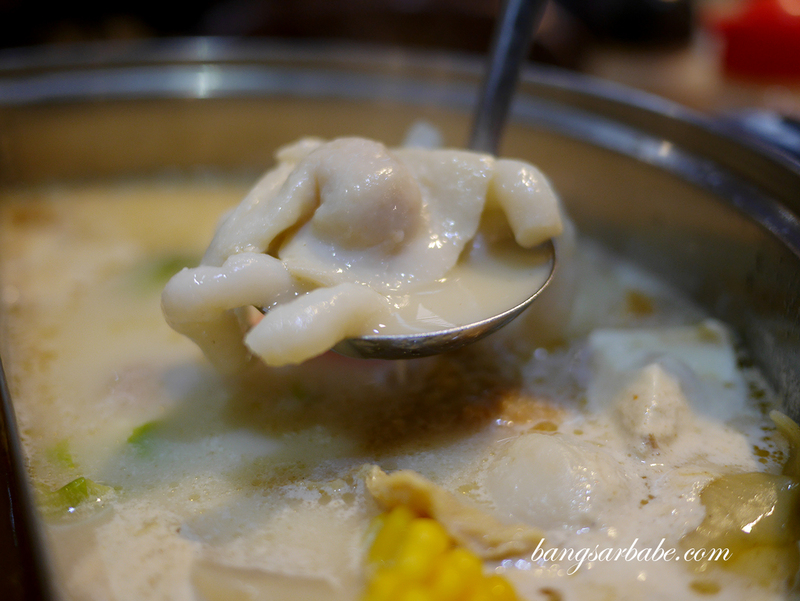 The pork bone soup was better (slightly on the milky side) but I prefer the one at Coco Steamboat and Harbour Steamboat. The latter two had a better aroma and flavour. 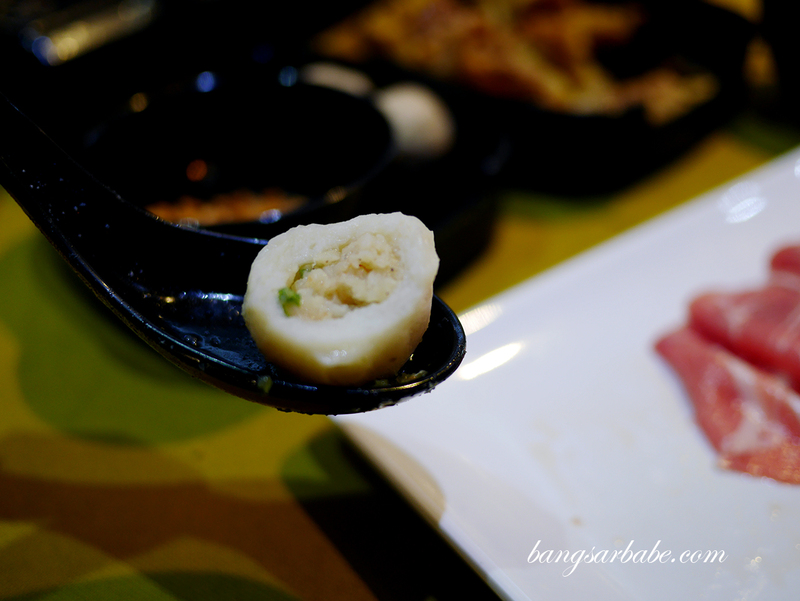 They only have two or three types of chilli dipping sauces so if you’re into sauces, you’ll find the offering at BeBeHo Steamboat somewhat limited. 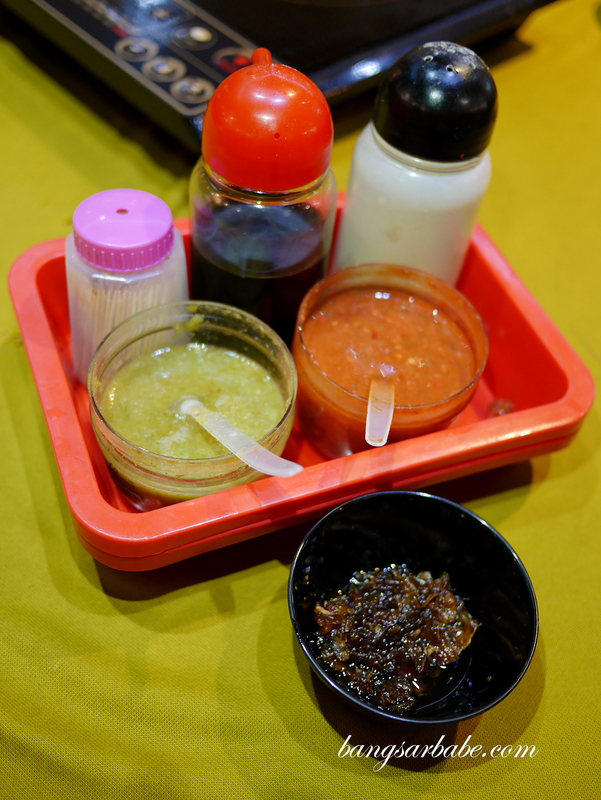 I like the selection of sauces here. Service was disappointing when rif and I went – the staff weren’t attentive and we had to wave our hands several times to get them to take note. 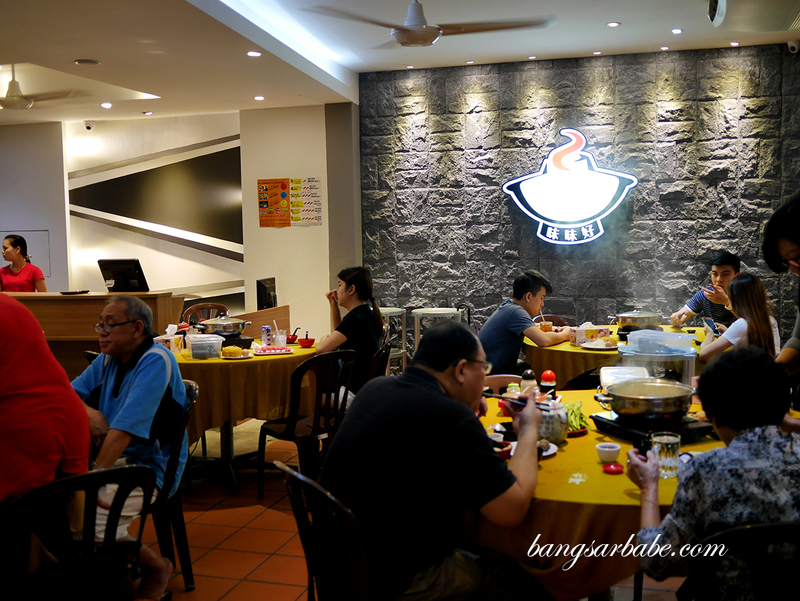 A customer even walked up to the counter to refill his own soup that night. 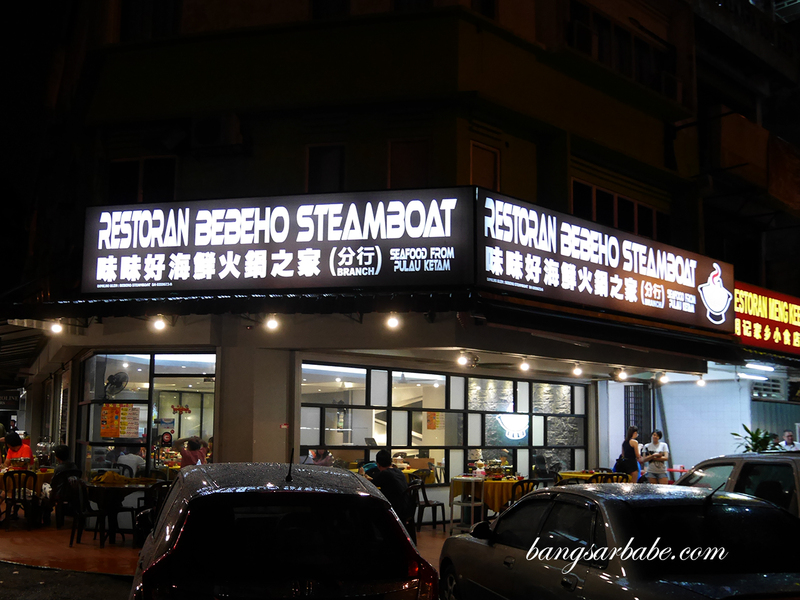 Pricing is reasonable here (our bill came up to RM76 for the above); I reckon BeBeHo Steamboat is currently the most competitively priced steamboat restaurant in the area. 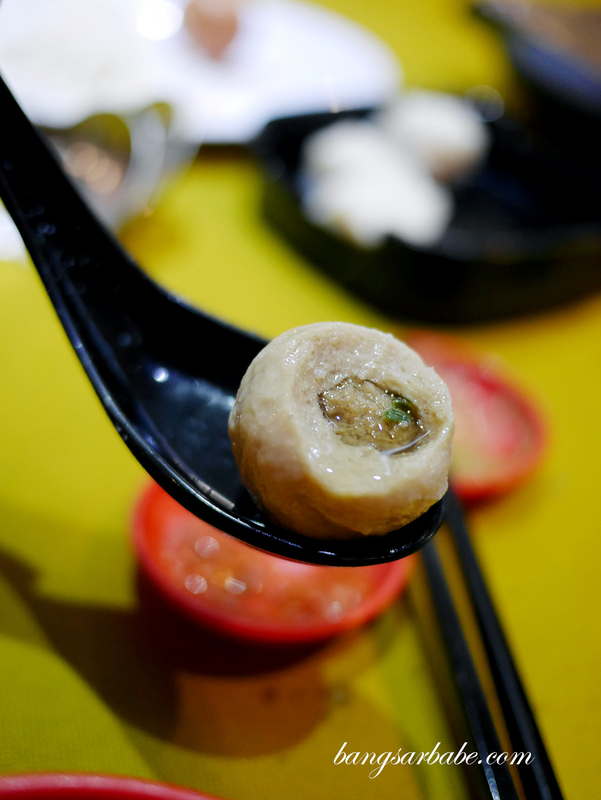 That said, I didn’t find the food particularly memorable and the service didn’t help make the experience a good one. Verdict: Reasonable pricing but the food was average.